I have a cold (boo), but that means it's definitely soup season (yay)! I love mushroom soup but I sometimes find it to be a bit meh... mushrooms have that great unami taste but they don't always hold up that well in soup. I find the soup often needs something to bulk it up. Something to give it that extra creamy warmness, you know, the thing that makes us hold steaming soup bowls between our hands on crisp fall days, so excited for the bowl of delicious warmth we're about to devour. So there I was, standing over a bowl of mushroom soup, thinking to myself 'what can I add to this?' And it struck me that cashews would be perfect. They're creamy, nutty, and not too strong. I threw in a handful of cashews and I've never looked back. I now soak the cashews in water overnight (or for a couple of hours in advance) and use the water they're soaked in for the broth. If I forget to do this (which happens all the time), I still add them, the soup just isn't quite as creamy. This recipe is vegan but if you're not, you can use butter to sauté the shallot and garlic and I'd highly recommend adding a big dollop of crème fraîche to your bowl of soup. Dice the shallot and the garlic. Heat olive oil in a pot on a medium heat. Sauté the shallot and garlic until tender. Roughly chop the mushrooms and the thyme. Add to the pot, season everything with salt and pepper, and stir. 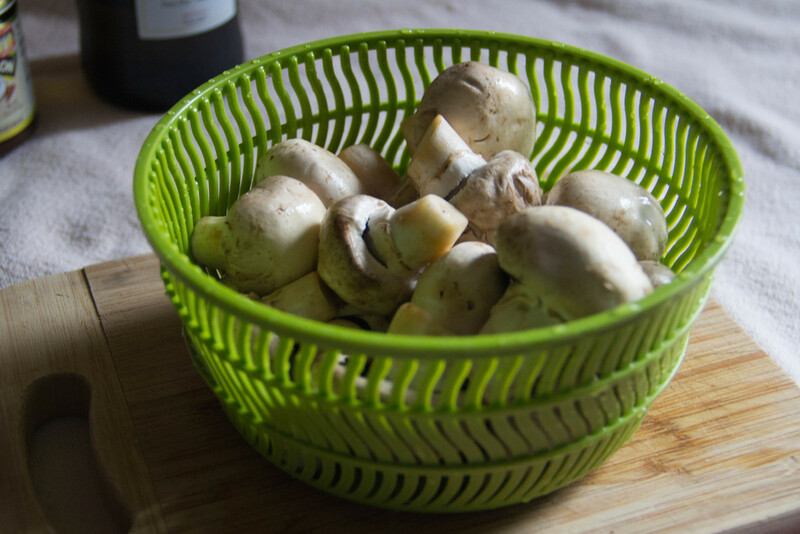 Cook for 5 - 6 minutes or until the mushrooms begin to soften. Add sherry and turn up the heat. Let the alcohol burn off then add the cashews with the water they were soaked in and the vegetable stock. Bring the pot to a boil and then reduce to a simmer. Simmer for 20 - 30 minutes then blend with an immersion blender until smooth and creamy. Taste and check for seasoning. Roughly chop the parsley. 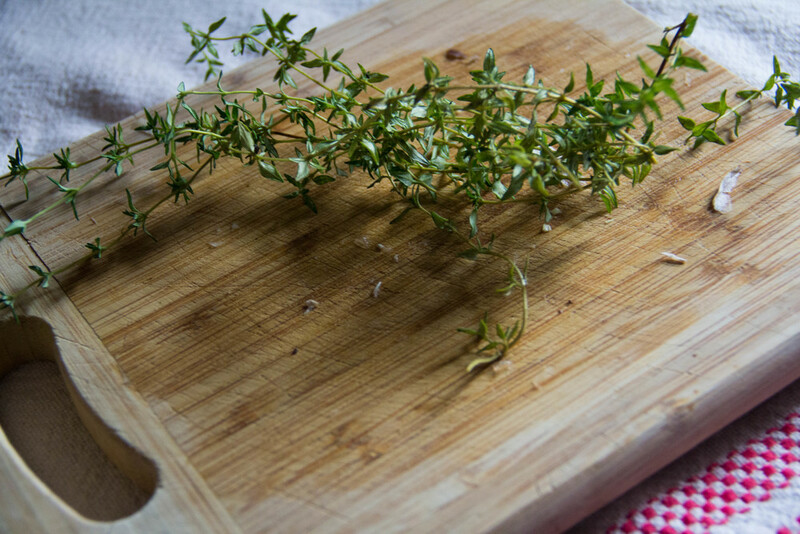 Serve with a dash of olive oil and sprinkling of parsley. Pssst... looking for a great CSA in the DC area? Look no further! I use From the Farmer and have all my lovely produce delivered to my door! These mushrooms came from them and so do most of the ingredients on this blog. If you want to try them out, use the code HUNGRIESTBEAR for 50% off your first two orders!